Iranian media outlet claims Tehran regime succeeds in testing of Simorgh space vehicle, capable of deploying satellites into space. 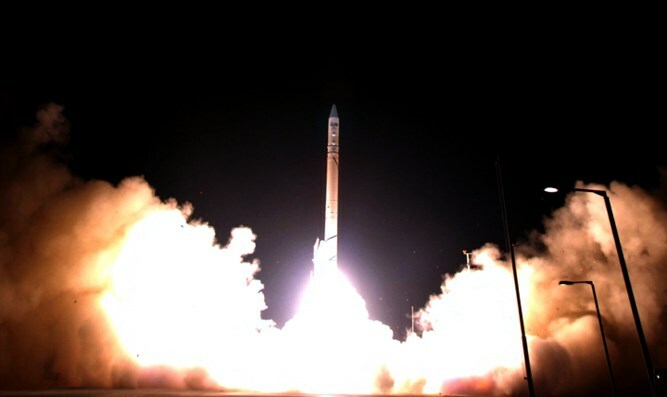 An Iranian media outlet has claimed that a test space launch of an Iranian-made spacecraft was successfully completed. Iran’s PRESSTV, an affiliate of the Islamic Republic of Iran Broadcasting network, announced Thursday afternoon that the Simorgh spacecraft had been successfully test-launched. According to the state Tasnim media outlet, the Simorgh spacecraft will, when deployed, be able to carry satellites as heavy as 550 pounds (250 kilos) 315 miles (500 kilometers) above the earth’s surface. The test launch was reportedly carried out by Iran’s Imam Khomeini National Space Center.